This production of 'Dido and Aeneas,' directed by Mary Birnbaum will tour to Holland Park in London and the Royal Opera House in Versailles in June. 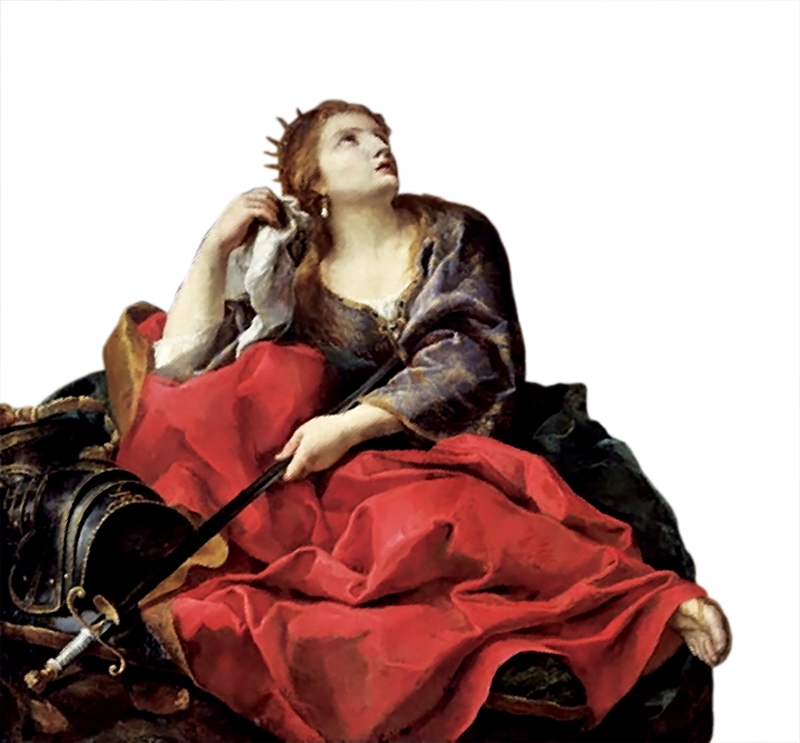 One of the great tragic heroines of western literature, Dido, the Queen of Carthage, comes to the Juilliard stage this February in a series of performances of Henry Purcell’s Dido and Aeneas. On the surface the opera is just another story about a woman falling in love with a man, being abandoned, and then dying because life without him is just too difficult. Or perhaps more accurately, the gods coerce a woman to fall in love with a man she previously didn’t care for, and then capriciously take him from her, and she dies alone. The earliest account of the story, dating back at least to Virgil’s telling of it in classical antiquity, consists of little more than that. By the 1680s, however, when the twentysomething Henry Purcell sat down to collaborate with Nahum Tate, who would become England’s poet laureate in just a few years, the story had acquired many more layers of meaning. The result of their partnership, the now-ubiquitous Dido and Aeneas, is very much a product of the Baroque era: there are witches, gods, great passions, heroic love, and, of course, a heroine who dies in the end. However, a closer look reveals at least a few oddities that stand out against the neoclassical landscape. In a fascinating inversion of the original story, the strongest character in the Purcell/Tate telling is Dido. Gone are the gods who smite the Queen with love, and in their place we find a woman who chooses Aeneas of her own volition. In the opening of the opera, we meet the widow Dido, struggling between her desire for Prince Aeneas and her sense of duty to her late husband and her country. The Queen’s most trusted adviser, Belinda, sees the truth of Dido’s yearning and urges her to pursue her heart. Cupid’s power is only present allegorically, in what Wendy Heller describes as a sort of courtly code word for illicit love. Similarly, when Aeneas later comes to Dido to announce that the gods have decreed his departure to recapture Troy, the queen responds, unsurprisingly, with anger and dismay. In an almost humorous about-face, Aeneas tries to retract his plan, and insists that he’ll stay, even at the cost of defying the gods. Dido will have none of it, and rejects his advances vigorously. In this case, too, she is clearly the character with all the agency. Purcell and Tate subvert the classical story in one more way; while Aeneas is convinced that Jove sent Mercury to convey his message, instead it is a sorceress and her cadre of witches. So in the end, Dido and the sorceress represent the two opposing forces in the story, and are responsible for the majority of the dramatic movement. Dido and Aeneas is remarkable if for no other reason than that its women heroes and villains are at least to some degree agents of their own destinies. The origins of the opera are decidedly murky; the only documented performance during Purcell’s short lifetime was an amateur production at an all-girls boarding school sometime in 1689. It seems likely that it was written sometime earlier, possibly for a performance in the court of Charles II, but if so, the debut came and went without praise or criticism. Opera was still something of a hard sell in England at that point, and while Purcell went on to write music for numerous plays, he never wrote a fully sung opera again. Nevertheless, thanks in no small part to Purcell’s deft ability to weave together recitative, aria, and dance in a seamless whole, and thanks to his exquisite setting of the English language, Dido and Aeneas would eventually be counted among the best-known operas of the Baroque. This production, which is directed by Mary Birnbaum and conducted by Avi Stein, tours to Holland Park in London and the Royal Opera House in Versailles in June.